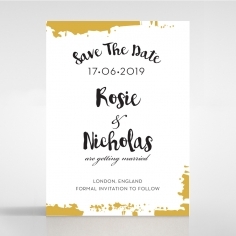 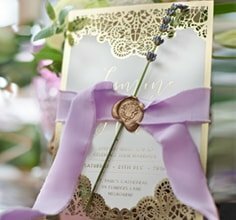 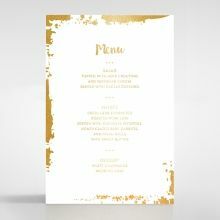 Rustic Charm, is a casual wedding invitation but shamelessly chic. 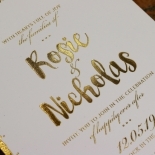 The design truly comes to life and is laidback in the most luxurious of ways when printed in Giant's renowned gold foiling. 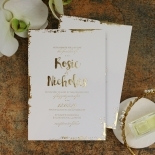 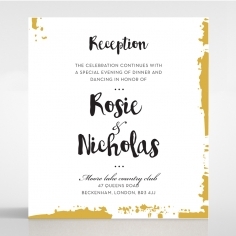 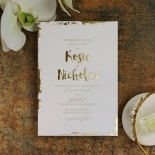 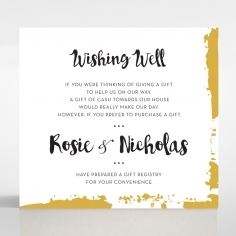 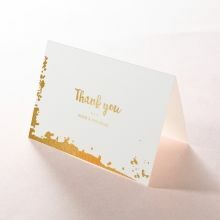 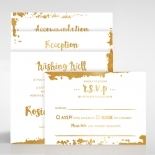 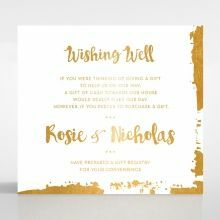 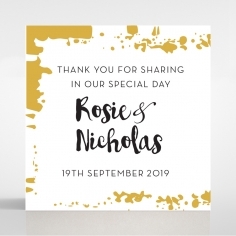 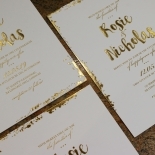 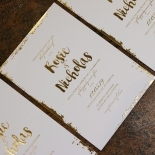 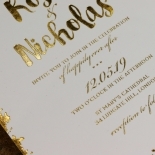 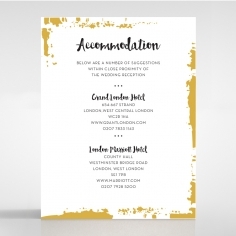 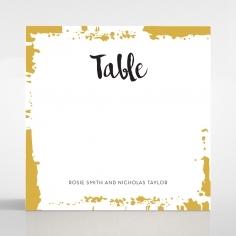 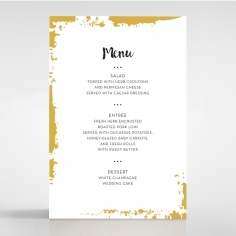 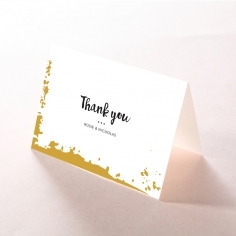 The gorgeous gilded effect will add a touch of luxe to this beautifully modern card. 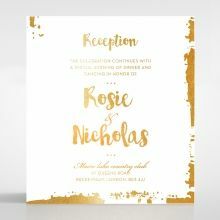 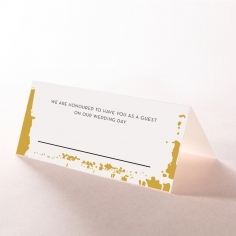 The invitation presents your guests with a trendy handwritten-inspired font and dashes of paint splatters randomly across the edges. 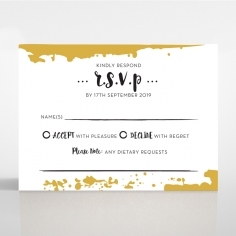 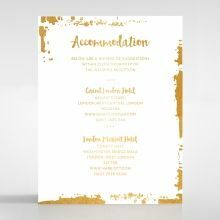 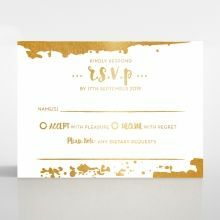 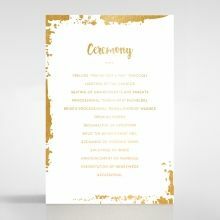 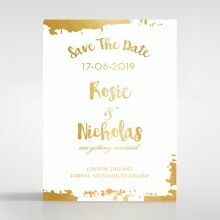 Minimalistic yet madly unique, this is an invite that your guests will look at and appreciate for representing your outgoing and artistic nature. Add a set of accompanying envelopes at an additional cost in gold, silver or craft to tie the look together.